David B. Pleat - Senior Partner | Pleat & Perry, P.A. He served as a law clerk for the Honorable J. James McKenna, Circuit Court Judge, Montgomery County, Maryland, following admission to the Bar. In 1993, he was admitted to the District of Columbia Bar, and in September 1995, he was admitted to the Florida Bar. Mr. Pleat practiced for ten years as a litigator in the Washington, D.C. and Baltimore areas. He relocated to Florida and has practiced in Florida since 1995. 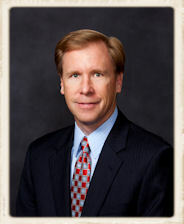 He has extensive litigation experience in a variety of state and federal courts. He has litigated cases in the areas of personal injury, wrongful death, real estate, association law, complex medical malpractice, commercial law, insurance claims and business / commercial litigation. In addition to being a member of two state and the District of Columbia bars, he is also admitted to practice in two federal district courts. He is a member of the Florida Justice Association, the Destin Area Chamber of Commerce (Chairman; 2007), the Walton County Chamber of Commerce, Destin Kiwanis Club, the Condominium Association Institute, and various individual state and county bar associations. Mr. Pleat was recently selected to serve on the First Circuit Bench and Bar Professionalism Committee and is the former Vice Chairman of the Attorney Grievance Committee of The Florida Bar for the First District of Florida (2008-2011). 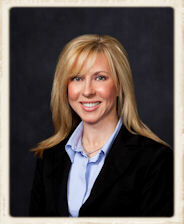 He has the distinction of being AV peer rated by Martindale Hubbell Law Directory. He is married to Amy A. Perry, Esq. and lives in Sandestin. Mr. Pleat has five children: Candace, Nicholas, Austin, Cassandra and Nola.